Mike Wallace - Definitive Home & Design, Inc.
Mike Wallace of Definitive Home and Design, Inc., has been selected as the Authorized Dealer for 3 Day Kitchen & Bath in the St. Louis Metro Area. 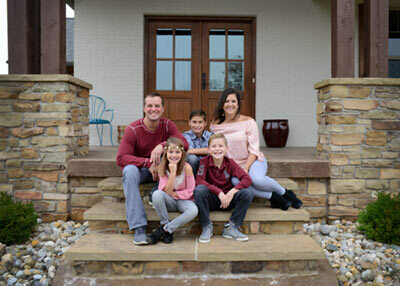 Mike has over 20 years of experience in the construction trades, and has been a respected home builder in his home town of O'Fallon, IL, since 2006. Having built Definitive Home & Design on a foundation of integrity and excellent craftsmanship, Mike is now offering the 3 Day Kitchen & Bath miracle to homeowners in the St. Louis Metro Area. There are no words for me to express how happy we are with our new kitchen and bathroom! I feel my house is truly perfect now - without a flaw - - thanks to the expertise of you and your wonderful crew! And done in 3 days!! © Copyright 2019 – 3 Day Kitchen & Bath – All rights reserved. Web Design, SEO & Internet Marketing by Idyllwild Advertising.